ABOUT THE SONGS AND POEMS ~ This recording is a collection of songs and poems all of which have some connection to the Princeton area of southern BC. They are drawn from three main sources: songs collected by Phil Thomas in two collecting trips in the early 1960’s; songs and poems published in the Similkameen Star between the years 1900 and 1931; and modern songs made by Princeton area residents. The idea for the recording came out of research the two of us are conducting into the early history of Princeton, mostly through the examination of local papers. We wanted to bring together this material to illustrate the vernacular culture of the area from its earliest printed records. We use the word ‘vernacular’ to describe the nature of the material. Other possible words to describe it are ‘folk’ or ‘traditional’, but neither of these words do justice to its character. Both the vocabulary and the grammar are ‘ordinary’, not the elevated language of what might be called ‘art song’. Elevated language is used only ironically, and particularly where it gives an air of bathos to a text. The songs here display a range of artistic abilities from accomplished to less-than-accomplished, but what shines through all of them are firstly, a lack of any ironic distancing from the substance of the song, and secondly, the almost tangible inclusion of an invisible assembly of workmates. Whether the songs are rambunctious (such as “The Blakeburn Song”) or despondent (“The Broken Down Mucker”), one sees in one’s mind’s eye a gathering of workmates, nodding, or laughing, or singing along. Here is no division between ‘performer’ and ‘audience’ but a singing community. Implicit honesty is necessary to pull this off: the workplace is shared with others, and one cannot stray very far from the common recognition of workplace conditions. Whether dealt with factually or with flights of fancy, one must be ‘honest’. 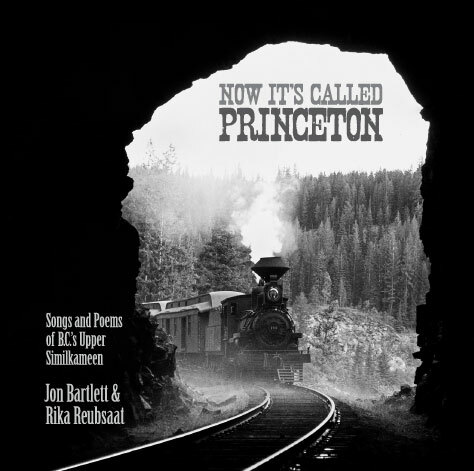 The singing community which made the great folk or industrial songs of the past (such as the mining disaster songs of the Appalachian coalfield, designed by fellow workers to wring a tear and a dollar or two for the widows and orphans), is still in the 1920’s present in Princeton. Though the skills are demonstrably weaker, the intent, ‘to make a music for all of us’, is still very much present. Oh, I forgot, we might mention that it's $20 (pickup in Princeton), and $4 more for mailing to Canada or US. Here is a pdf of the CD insert. It's quite comprehensive and well worth looking at even if you don't have the CD - though I suggest you buy the disc nevertheless.